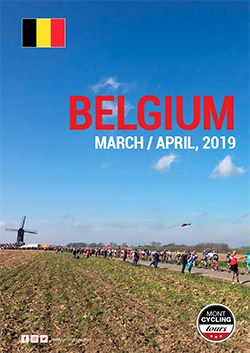 Experience two legendary classics of Belgium, Ronde van Vlaanderen and Paris-Roubaix and ride through the countryside of Belgium and Limburg in The Nertherlands. Revel in the excitement and enthusiasm with the locals, reside in 4 star boutique accommodation, eat, drink, ride and laugh out loud through Flanders with Monty and his expert guides. $7,950.00 Per Person | Click here to download your booking form and secure your position today.